Thanks. There goes the neighborhood. Will some "spring cleaning"
how did you get the background? 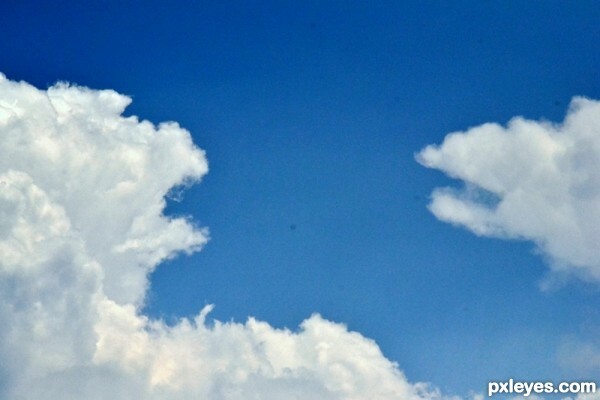 Is this a picture of a godzilla in front of another picture? Not sure how big the background picture you have is, but if you could move the model away from it as much as you can so that the buildings look smaller that would be even better! Godzilla in my mind is as big as 20 stories, but here he looks really little lol. Great concept! Yes, k5683. 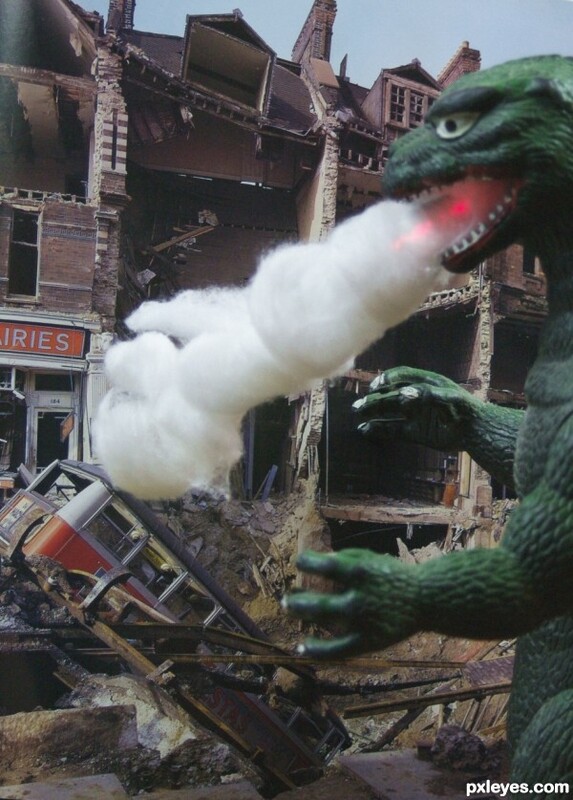 It is my toy Godzilla in front of a photo of London during WW II. Your thoughts on perspective are right, Ory, but this was the only picture I had for a background like this and it isn't very big. - BUT, notice you can't see Godzilla's feet! I'm pretty sure he's standing in a hole that his explosions made! 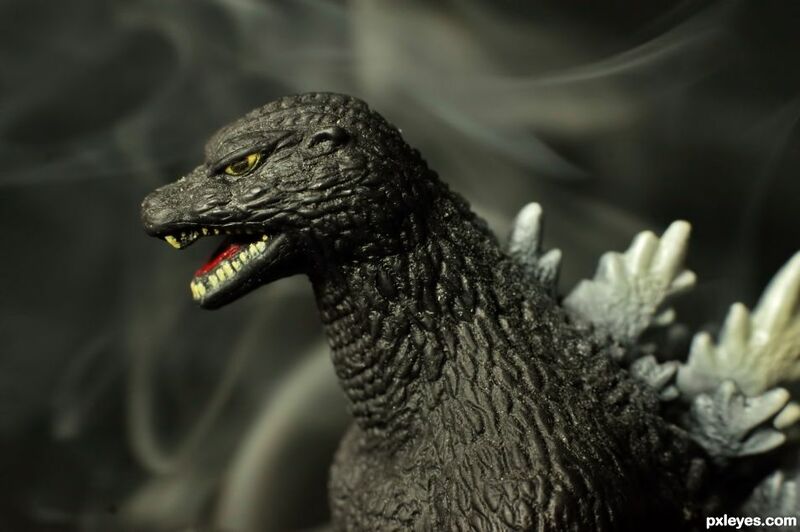 I just noticed that you used cotton for the "smoke" coming from Godzilla's mouth. That...is awesome. Classic craftiness at its best. Excellent creativity and great shot, author. Great shot, wish I'd kept the kids' dinosaur collection.. Thanks for noticing, magicsteve. Yes, I put a small piece of clay inside Godzilla's mouth and then took a wooden skewer used for cooking and skewered some cotton balls, fluffing them out at the end. I stuck the skewer in the clay and then got the red in Godzilla's mouth by shining a laser pointer through the back of the cotton. wow this is great.... great imagination...well put together.. Very creative - love the "smoke"